Tablet PCs are portable computers that do not require a keyboard or a mouse and work smoothly on touch screen input. They are well-suited for accessing the Internet while on-the-go, using various applications and services or watching videos, movies, playing games. Tablet PCs emerged as a revolutionary gadget in the consumer electronics markets with the launch of the iPad by Apple Inc. No sooner than that, Tablet PCs by competitors were getting launched, seeking the successful path paved by the market leader Apple. The Tablet PC market in Australia has seen a high growth since 2010 when the global consumer Tablet PC era started with Apple’s iPad launch and ever since, there has been no dearth of new Tablet devices in the Australian market, with most of them running Android. 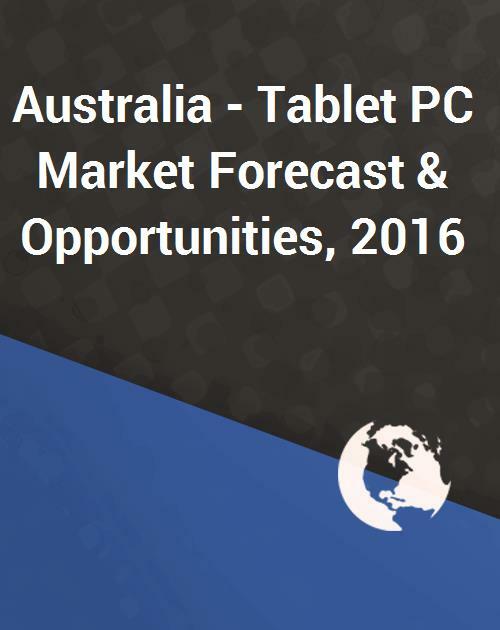 According to ‘Australia Tablet PC Market Forecast & Opportunities, 2016’, the Tablet PC market in Australia is further expected to witness exponential growth with increasing consumer acceptance. Tablet PCs have been quite successful in filling the gap between Smartphones and Laptops. Australia is a lucrative market for Tablet PC manufacturers as the country has high penetration of PC/Laptops/Notebooks. The penetration level of Tablet PC’s has crossed more than 6% in Australia by end of 2011. The technology savvy Australian population is expected to drive Tablet PC market in Australia. Also, high internet usage amongst all age groups and categories further explains the situation. The mobile internet penetration in the country was around 50 percent in 2010 and has been growing immensely since the launch of Tablet PCs. Since a large number of consumers own a personal computer, the demand is expected to shift to Tablet PCs rapidly. - To assess how the market is predicted to develop by 2017? The information contained in this report is based upon both primary and secondary sources. Primary research included interviews with PC Vendors, Channel Partners, and Consumers. Secondary research included an exhaustive search of relevant paid publications like newspapers, websites, and proprietary databases. 10. Table 10: Quarterly Revenues of Apple Inc.